Together we can make a difference. Show your support, and add your name to the Race Against Climate Change pledge, and help us accelerate towards a better future. At Envision Virgin Racing, we’re much more than a racing team. We exist to accelerate change towards a better future. We care passionately about our planet and in particular, about addressing climate change. 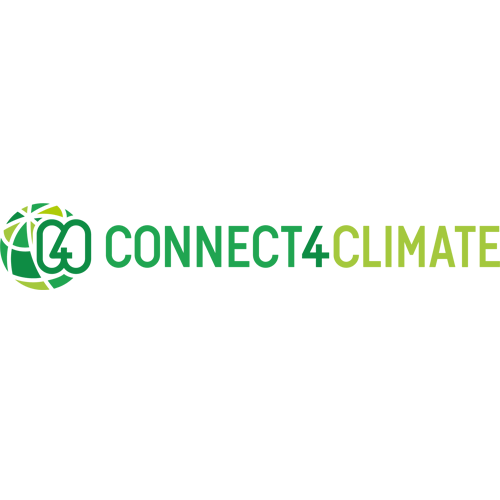 The aim of the ‘Race Against Climate Change’ (RACC) is to accelerate the energy transition and help the world achieve the goals of the Paris Climate Accord. And if, like us, you care about the future of our planet then we need to act now. All of us. Throughout this season and beyond, we will be hosting a range of initiatives aimed at addressing the wider issues surrounding climate change. Of course, this is not something we can achieve alone. It’s about creating a platform for others to demonstrate what they are doing to address the issue and, more importantly, inspire others to do the same. Climate change is real and human-caused. The impacts of climate change are no longer subtle. We are seeing the negative impacts now in real time, in our daily lives, in profound and immediate ways. Natural disasters such as droughts, floods, wildfires, devastating storms, are all being worsened by human-caused climate change. A combination of rising sea level and intensifying storms threaten coastal communities around the world. The devastating 2017 Atlantic hurricane season was a sign of things to come. There is still time to take the actions necessary to averting the most dangerous and potentially-irreversible change in our climate. But we must act now! What does my pledge mean? Change starts with you! Addressing climate change requires action from all of us. By adding your name to our pledge, and encouraging others to do the same, then you are showing you want to become part of the solution to this global issue. Those that sign up will receive a special welcome message, as well as regular news, features and tips on how you can play a part in making a difference. Now, more than ever, the topic of climate change remains firmly at the top of the Virgin founder’s agenda. The recent destruction caused by Hurricane Irma, including that of his home on Necker Island, brought this to light and makes Sir Richard more passionate than ever to bring about change. His support of the Virgin Racing team, and now the RACC programme, are further proof points of this commitment, together with the continued work done throughout the Virgin group. Rocky Mountain Institute (RMI) – an independent non-profit founded in 1982 – transforms global energy use to create a clean, prosperous, and secure low-carbon future. It engages businesses, communities, institutions, and entrepreneurs to accelerate the adoption of market-based solutions that cost-effectively shift from fossil fuels to efficiency and renewables. RMI has offices in Basalt and Boulder, Colorado; New York City; Washington, D.C.; and Beijing. 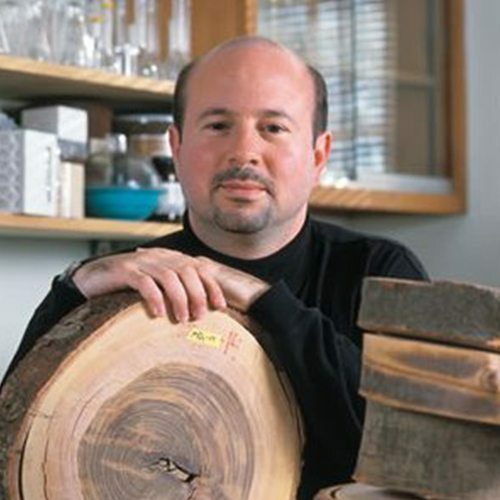 Michael Mann is Distinguished Professor of Atmospheric Science at Pennsylvania State University and the author of The Hockey Stick and the Climate Wars: Dispatches from the Front Lines. He was recognised with other Intergovernmental Panel on Climate Change authors for their contribution to the IPCC’s 2007 Nobel Peace Prize and has received numerous awards for his work and outreach. He is also the author of more than 200 peer-reviewed and edited publications. 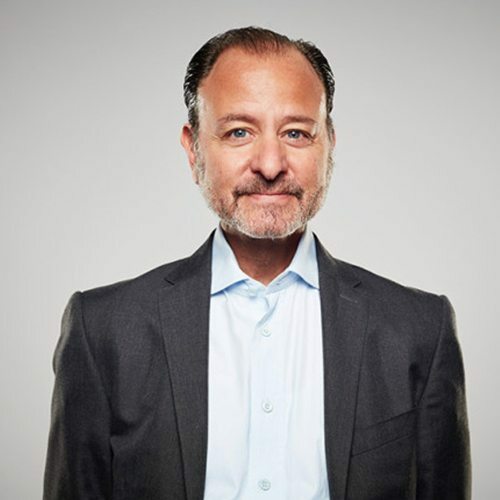 Fisher Stevens is an American actor, director, producer, and writer. His most recent work includes directing the film Before the Flood, in which actor and fellow environmentalist Leonardo DiCaprio meets with scientists, activists and world leaders to discuss the dangers of climate change and possible solutions. He remains an advocate of Formula E and the ethos of the championship. Connect4Climate is a global partnership program launched by the World Bank Group and the Italian Ministry of Environment, Land and Sea, together with the German Federal Ministry for Economic Cooperation and Development, that takes on climate change by supporting ambitious leadership, promoting transformative solutions and empowering collective action. I’m delighted to be putting my name on the Race Against Climate Change pledge, as we aim to accelerate the initiatives that help the world achieve the goals of the Paris Climate Accord. One of the greatest challenges in confronting climate change is getting people to recognise that it’s actually happening. It is having adverse impacts on us now, where we live, in profound ways. Initiatives like this help raise awareness to a wider audience. I couldn’t be prouder to be working with Sir Richard Branson and Virgin Racing and our other patterns on this critical outreach effort. It’s great that my film has helped inspire this programme and I’m pleased to be able to show my support for this worthwhile cause. I support the Race Against Climate Change. I support the Race Against Climate Change. We need to stop this before it’s too late otherwise our future generations will inherit the burden and they will never forgive us we need to act NOW! I support the Race Against Climate Change by keeping my carbon footprint below the UK Average & I aim to reduce it further in multiple ways such as smart technology heating & hot water controls, turning down my heating controls down further by 1 degree will reduce my energy by another 10%, replacing my car with an EV, sourcing more local food & reducing meat in our diet, recycling more products & buying more used products & clothing. Furthermore, my workplace position enables me to make carbon footprint reductions in my workplace & advise them of renewable energy technologies available to the business. I support the Race Against Climate Change! I support the Race Against Climate Change. Climate change must become the only important race for every person on the planet. I support the Race Against Climate Change because i want my son and the future generations to actually have a planet to live on and have children and lives of there own. Electric cars are just one method of reducing carbon emissions across the globe. This technology is wonderful and cars such as Tesla Model S are truly great examples of luxury cars which have all the capabilities of petrol or diesel engined cars and far more. Skiing is one sport I enjoy. I would like to travel to the Italian Dolomites in Tesla Model X. What better way to arrive than in an electric vehicle. The fresh air in the mountains and a non-polluting vehicle. My next car will be all electric! I support the Race Against Climate Change. It is the most important subject of the present day and we must all, each and every one of us, be responsible toward it. I support the Race Against Climate Change. As a student who believes in scientifically progressive ideas, I definitely am in support of Virgin Racing's mission. Step by step we see what effect climate change has. These steps are going too slowly. If we want to change something for the future, then we need to take action now. The future starts here. I support the Race Against Climate Change. I hope and pray that this initiative will inspire similar initiatives across the world. Easy choice to supprt the Race Against Climate Change. The earth is something that we will pass on to our children in a equal or better shape, the opposite is not an option. I absolutely support the race against climate change; it should be obvious to most that electric technology has been held back by the super powers for far too long now. We should not be allowing large fossil fuel companies hold the reigns in respect of the worlds climate. We see the return of trams; more elctrically powered trains and finally more electric and hybrid cars which have been prevented by greedy rich billionaires from coming to market; we all know that the American government stole Nikola Tesla's plans for free, wireless energy so they could feed the greedy oil barons but this should finally be put to bed and we should start to see the end of the use of fossil fuels. I support the Race Against Climate Change. Climate change is effecting an already mutli issued region , subcontinent. We believe together , by Planting trees here in Pakistan , recently like 1 Billion tress are already planted here in KPK region. We on a global scale need to unite and work together to save our own home Earth. I support the Race Against Climate Change. Time is of the essence with this matter but sadly a lot of prominently placed people vocally dismiss this as a real threat to all humanity. Until more people with a voice of reason counteract this troublesome way of thought and living, the climate change will become more dire and even more harder to reverse the effect it will have on our Planet. I support Race Against Climate Change because I'm very concerned about the future of our planet. Together, we'll make a clean Earth possible! Sauvons la terre ensemble merci vous tous. I support the Race Against Climate Change and will take steps every day, and encourage others to do so. Scientists have said that we have only eight years to save the world by stopping the currently ongoing extinction level event on Earth which is being caused by petrochemical pollution which is poisoning the Earth and causing climate change. I support the Race Against Climate Change. I support the Race Against Climate Change. Even the smallest effort just like planting a sapling beside my house can trigger a world of opportunities. I support the Race Against Climate Change with sustainable solutions for composite industry replacing glassfiber by bamboo composite reinforcements. I support the Race Against Climate Change. I think it’s time the world did something about this, and this is definitely a step in the right direction. Together, we can save the world. I support the Race Against Climate Change. I want the world to be a better place for my children. I support the Race Against Climate Change. We at Project Green Villages Africa Institute believe that this is an important movement to bring global communities together, to find tangible, fundamental and sustainable solutions to the vagaries of climate change. We support it because our rural communities of West Nile sub-region of north western Uganda, have experienced massive deforestation, in the past five decades, due mainly to unsustainable agricultural practices of tobacco and cotton production, in the sub-region. This has since lead to very serious environmental destruction, severely damaging local eco-systems, as top soils were washed off in flush floods, silted rivers, streams and wetlands slowly drying up, poor crop yields, ground water reserves diminishing, loss of many animal, bird, fish stocks and insect species, for a few to mention. We are determined to plant millions of new trees, to renew the eco-systems and the face of the earth, for future sustainable agriculture and environmentally friendly living. RACC Supporter AUGUSTINE YADA MR. I support the Race Against Climate Change. I have been following motorsports for over 50 years and still love it !! Taking care of our planet starts from awareness that even when we throw away something from our house, it still stays on this planet. When we drive a car, it pollutes the air. And so on. This planet is very patient actually... It loves us. And it's time to appreciate it. Myself, my Son and partner drive three Nissan Leaf, all electric cars, and will never go back to 'ICE Dyno Burners'. I support the Race Against Climate Change. And i’m proud to be a part of it. I support the Race Against Climate Change. I have a project which can maybe change a lot. More than you imagine. The future of energy is now arrived. I support the Race Against Climate Change. Make our earth a better planet ,to better future ,where all species leave in harmony and healthy life. Us humans should consider ourselves to be caretakers of this beautiful planet and all her creations. We should also stop fighting and pool our energy and talent towards a better future for all. I am ready for Racing Against Climate Change. I support the Race Against Climate Change. This Planet is our only home (currently) and the other animals who we live with, do not have the option of leaving. I support the Race Against Climate Change. For a better world. I support the Race Against Climate Change. I believe that individuals can make a real difference by making even small changers to our lifestyle. I believe that corporations and organisations have a major role in being more sustainable and implementing innovative ideas. I support the Race Against Climate Change. We actively work for EV, also because conventional vehicles are polluting and generate lot of heat on the roads. Change come from individual. Let's be that individual to inspire others for change. I support the Race Against Climate Change becuase climate change is a pressing issue that we need to solve before it's to late. I support the Race Against Climate Change. I am also passionate about environmental conservation and sustainable use of resources. I support the Race Against Climate Change. Too much time has already been wasted, caused by self serving politicians. We should have been in this position at least 10 years ago. Al Gores inconvenient truth has become a distant memory, Prince Charles’s ‘crazy out of touch rantings’ have become sensible. I pledge my support to the Race Against Climate Change and am working to enable a clean energy future for future generations. We can make our Planet Great Again! and plastic pollution to save our oceans! Progressive racing with a conscience. The race against climate change is now and together, we can pave a path towards a greener, brighter and better future. To have a tomorrow and prevent the challenges that await, us we need to take action today, and tomorrow could be a great place if we all act. Have always supported this cause...will always do...!! We only have one planet and choosing to continue to poison and pollute is malicious and will kill Her. Great to see so many people joining together to race against climate change. I support the Race Against Climate Change, as the alternative offers us little choice. On a planet where most people are distracted by their day to day activities. We watch a planet die. And that's why I am in favor of the Race Against Climate Change. Not only as an individual but as an entrepreneur, I see the importance of the subject and I had grown to hear about the warnings for climate change and the danger to our very existence, I believe that a group of people who are motivated and with precise goals can make the difference, and therefore i join my voice to yours. I support the Race Against Climate Change. Hoping for a better future for generations to come. I support the Race Against Climate Change. As we are increasingly seeing with various weather events across the world, every little bit helps. And when it comes to racing... why not have a bit of a thrill at the same time? I have an electric car and buy renewable energy. I support the Race Against Climate Change. We can make a change for a better future. I want DS Virgin and everyone to race against climate change. I support the Race Against Climate Change. I wish I can play a part in making a difference. I support the Race Against Climate Change its fantastic your doing this! I support the Race Against Climate Change. Loving your work at Virgin Racing. Out interests intertwine. Keep up the excellent work. If you are looking employees in your engineering department, please look me up. I am a very fast learner. I support the Race Against Climate Change, we should make a better place for our children! I completely support the Race Against Climate Change. I support the Race Against Climate Change and will dedicated my time and effort to preventing climate change. I support the Race Against Climate Change. I am a Founder of LivingMap, a digital business to help people navigate Smart Cities on foot and by bicycle. I support the Race Against Climate Change. We need to lead the field to the never ending race, Against Climate Change. Back to the future or else back to the past. Time to act. Veni, vidi, victa? I absolutely support the Race Against Climate Change. I support the Race Against Climate Change, to try to keep the world functioning for future generations to come. I support the Race Against Climate Change, and will be taking delivery of a company EV. I support the Race Against Climate Change. I also support a future with trees, clean water, and a future where are time era is not a laughing stalk, since iit feels like we are going that way. I support the Race Against Climate Change!! I support the Race Against Climate Change. I do not support stupidity nor science denial and urge Mr. Trump to either educate himself about climate change or to resign the office of the White House, so to let more mature people tackle global warming before it's too late. Let's make a change for the future. I support the Race Against Climate Change, we have to change if we wanna see ar change in the world, We are the First Step. I support the Race Against Climate Change and disavow the 'follow the politicalmoney' position taken by the current US administration. I am Racing Against Climate Change. I'm delighted to support the Race Against Climate Change. For me, the greatest humanity challenge. The effects of global climate change happens every day and we feel it! This one guys, is maybe the most important war of our lifetime. pls, support the cause. Let's produce and consume energy in a smarter way! I support the Race Against Climate Change. We are in the race from the day we are born, now its time to race for our coming generations and lets make this a beeter planet for our kids so they can remember us for what good we did rather than what we made this planet even though we have chance to change. lets change ourself for our future. And for that I keep loyal to my DS car. I support the Race Against Climate Change. I'm studying how to improve electrical vehicles efficiency because we are already late about vehicles electrification! I support the Race Against Climate Change. Clean technologies are a solution for saving the planet, so let make it the every one's choice. I support the Race Against Climate Change. Beacause I live in this world. As a human making awareness is the best thing we can do. Thank you. I support the Race Against Climate Change. I believe that every person has the ability to make a difference no matter how small the impact is. There are many ways in which an individual can contribute. This is an initiative I would love to support and work with to make a difference. Thanks for creating this project! I am supporting the Race Against Climate Change. I strongly support the Race Against Climate Change. I support the Race Against Climate Change because we have changed our planet. I have made this pledge to help preserve our amazing and beautiful planet for now and the future. I support and believe we can make changes to our world and slow down environmental changes by acting now. I'm in! I support anything that comes against to the future and the sustainability of the planet. I support the pioneers to anything good in this lifetime. I support the Race Against Climate Change and the time has come that the planet Earth needs us to become active fighters for planet Earth. Every negative impact we cause should at a bare minimum get a BIG positive injection of actions and results for our planet and climate on the spot. If you buy an apple, you need to pay the apple. Let's start to understand that this is 100% equal to our planet and climate. WE NEED TO STOP STEELING! I support the Race Against Climate Change, since the creation of a sustainable environment and way of living is thé most important thing to preserve our planet fot the generations to come. Me encantaría trabajar en equipos o empresas que estén comprometidos en la carrera de ganarle al cambio climático desde el área de automoción. The future of our planet is in our hands and we need to act now. I'm very proud to support the Race Against Climate Change as I have been working since early 2000s to inspire and help buyers/companies to reduce their environmental impact in supply chains and procurement practices. On the same subject since 2014 I have been working on sustainable sport events design and execution as I strongly believe sport has a massive role in enviromental impact and people engagement. Thanks to DS Virgin for its effort and mission! We need to win that race together. Awesome,Team, keep up the good work! I support the Race Against Climate Change by tackling California’s housing and water crisis' through smart home community development. My work, and energies as a photograher, go to make a better world not just for us, but for the ones to come. I fully support the Race Against Climate Change. We need to act (at our level) and share this to the other through, for example, events like this one. I don't want to be a bystander as the disaster unfolds. Proud to be supporting RACC! I support the Race Against Climate Change. My 5-year old daughter’s future depends on it. The longer we delay, the greater both the costs and the likelihood that a cataclysmic climate scenario cannot be avoided. The Paris Climate Accord will accomplish only the smallest of first steps, so let’s get busy! I support the Race Against Climate Change. I bought a used 2012 Chevy Volt three years ago. My old car (22 MPG) used 18 barrels of oil per year. My Chevy Volt only uses 3 1/2 barrels of oil per year. I drive 15,000 miles per year. Majority of the time, I charge my car at night when the energy demand on the grid is low. I buy wind power from my local utility. I volunteer with the local electric vehicle group, Minnesota Plug-in Vehicle Owners' Circle. My next car will be 100% electric. Formula E has brought me back as a race fan. I support the Race Against Climate Change. Ii is crucial of us to switch to more effective sources of energy and leave less footprint on an environment. This is our duty and obligation to that planet. I support the Race Against Climate Change, and we have a program to help accelerate the pace of business engagement. We are seeking advisors to achieve the program's full potential. I support the Race Against Climate Change because I care about keeping our planet green and cool. I support the Race Against Climate Change by bringing a new revolutionary wind energy technology to the global market. It enables decentralized wind energy production also in weak wind zones. I support the Race Against Climate Change. It is vital that we act fast to stop using all fossil fuels, reduce our energy demand, and change to 100% renewable energy. We can live happily without all the "stuff" we seem to think is essential. In actual fact we will not live at all unless we do this. We need a complete and swift transition to clean energy and clean transit. I do everything I can to support building solar and wind systems, electric vehicle production and infrastructure as well as take public transit and bike share in a muiltimodal fashion. I race on all these in the Race Against Climate Change. Join me! I actively support the Race Against Climate Change. I'm a professional advocate for clean energy solutions. I'm a driver of an EV and a saver of electrons. I married a man who helps large companies make long-term power purchase agreements with wind farms. And I have two children who deserve clean air, drinkable water, and thriving wildlife. I am using solar + battery storage + heat pumps + electric car to win the Race Against Climate Change. This is possible because the cost-effective technology we need to abandon fossil fuels and eliminate carbon pollution is here today. I support the Race Against Climate Change. If everyone does their part, perhaps this administrations insistence that it is a hoax will pass away. You go! Let us all go! We're building one off-grid, hurricane-proof home at a time to show that we need a different way to build in order to withstand the effects of the increasingly frequent and ever more dangerous storms. I support the Race Against Climate Change. This is the single most important issue of our time. I support both the Race Against Climate Change, and the race to revitalize and ensure a more robust social and economic well-being over the long-term. Both races can only be won if we greatly increase the productive use of clean energy and other resources -- at scale and in China time! I support the Race Against Climate Change by working with the community of faith locally and internationally. I support the Race Against Climate Change. I hope we can do a better job of educating people in the US, as half the population does not believe climate change is real or caused by man. It has become seen as a political issue and a liberal cause. Not sure how we change that, but we must. I support the Race Against Climate Change. Most important issue of our lifetimes. Together, we can reverse climate change. This is the time of our life. What makes dealing with Climate Change especially daunting is that human reliance on (addiction to) fossil fuels is the primary cause of the increase in CO2 that results in the warming of the planet's biosphere. That is a provable scientific fact, not a debatable issue. When humans are their own worst enemy, such as in this most compelling circumstance, it makes responding just that much harder. The "enemy" in this scenario is not some "other" that we can pin the blame on and conveniently externalize. It is OUR responsibility to deal with this, collectively, deliberately and URGENTLY. The Race Against Climate Change is a creative and effective way to raise awareness of the urgency to act while at the same time effecting tangible progress towards the renewable and sustainable energy future we need. My wife and I believe and are acting -- our rooftop solar system meets the entire energy use of our Florida home plus a plug-in electric car and a plug-in hybrid car. It is not a burden, but rather a pleasure to work with the natural systems of this earth to produce a cooler and less polluted world, if possible, for future generations. I believe that fun, positive electric vehicle racing is the key to getting the public's attention on climate change issues. For this reason I founded the Solar Rollers program with high school teams designing, building and racing solar-powered radio-controlled cars. There is nothing more important than educating young people about energy-based climate solutions - and I wholeheartedly support the Race Against Climate Change. As the president of PSIDA, I am happy to say we are doing our part in the race against climate change by bringing in new solar PV manufacturig processes that are lowering cost per watt encouraging more use of Solar PV, as the exclusive PV and electric motor supplier to the Transit X transportation system, our introduction of MW VAWT low wind systems and Waste to methane RE backup facilities that utilize excess RE electricity to break down trash, plastics, chemicals, tires, biowaste, virus, bacteria , parasites etc while producing clean water, methane and fertilizer with no waste products. I support the Race Against Climate Change !! I support the Race Against Climate Change. Let's accelerate implementation of proven and scalable solutions in Energy Efficiency, Renewable Electricity Generation, and Electrification of Transportation systems. Everyday I think how my actions may affect global warming and try in some small way to limit those which are climate negative while supporting and disseminating positive means and ideas to lessen carbon emissions. Since 1999, I have been in the Race Against Climate Change. Two decades ago our NGO, Light Up The World (LUTW), was the pioneer and the first to bring energy efficient and environmentally friendly LED lighting to the developing world. Today, the mission of our company, Visionary Lighting & Energy India (VLE), is to both improve the quality of life of a significant fraction of humanity and to increase the positive impact on the environment - by designing increasingly efficient, environmentally friendly, Renewable Energy and LED lighting products. I support the Race Against Climate Change. We cannot continue to rely on fossil fuels to power our buildings and transportation systems. The fossil fuel industry will fight hard to maintain the status quo. We need to work together to convert the world to a clean energy future. The time is now - for ourselves, our children, and all future generations. I support the Race Against Climate Change and everyday I try to do my best to reduce my environmental impact. Actions can be taken to change things, and we have to do it, NOW! I support the Race Against Climate Change. My home is solar powered and energy positive. Next, I plan on buying an electric car. As a practising independent environmental scientist for more decades than I care to remember, and based in Ireland, I am disheartened by the failure of our Government and many Governments around the world to take urgent action to mitigate the effects of, and to adapt to, Climate Change. But I am uplifted by the work of many organisations, including the Rocky Mountain Institute and the work of Amory Lovins and others, and you may therefore consider me as a supporter of the Race Against Climate Change. I support the Race Against Climate Change and believe we MUST step up our commitments beyond the original Paris Climate Agreement (which would keep warming to 2percent); we must work very hard to make this a reality and it would be much better if we can get to 1/5 perecnt. We must do this by 2020 in order to have a chance! I support the Race Against Climate Change, and I have for over 40 years, working professionally in solar architecture & engineering, solar systems, clean water, clean diesel and now fuel cells. I support the Race Against Climate Change. The platform of competing in Formula E goes with my belief that there are only 2 things that drive pure innovation. One is un-restricted motorsports and the other is warfare. Formula E will certainly inspire and push the limits of innovation through competition. With all of humanity being the eventual winners. Very proud to support your efforts! I support the Race Against Climate Change. We have put solar panels on our home. We drive an electric car. We are trying to reduce our damaging impact on the earth. We must change towards renewable energy and unharmed biodiversity quickly. 1. Sargasso Emergency Response Fund: an investment fund that will stockpile and supply to aid agencies and NGOs larger items of kit that they don't and typically can't afford to stock but that can save tens, hundreds or thousands of lives in the immediate aftermath of fast-moving natural disasters, such as hurricanes, floods and earthquakes. 2. Sargasso Caribbean Infrastructure (Re)development Fund: to invest in projects aimed at building a more resilient, sustainable infrastructure in the Caribbean, partly by helping redeveloping sustainable infrastructure lost during this summer's hurricane season, partly by ensuring that new developments are sustainable and contribute to the battle against Climate Change. 3. Set up the Sargasso Institute for Island Studies in my adopted home of Bermuda: a post-graduate institute to empower future leaders of island communities globally with the knowledge, skills and mindset to develop their countries sustainably as they live on the front line of Climate Change. I support the Race Against Climate Change and the initiative to fight Global Warming as a result of Green House Gas emissions. I support the Race Against Climate Change. For additional solutions check out the book "Drawdown - The Most Comprehensive Plan Ever Proposed to Reverse Global Warming" edited by Paul Hawken. I support the Race Against Climate Change. I appreciate the need for high profile members of our community to get this race won, as our disgraceful republican government cannot face the truth of Science. I'm Racing Against Climate Change. In today's world every human being is tense about dramatic change of environment such as noise,air, water pollution. with the help of this we can't change the whole environment but yes, we can change little bit. This little bit from every one would play a major role in changing environment. I support the Race Against Climate Change. It's the challenge of our age, one we MUST meet urgently, for the benefit not just of our generation, but those who must follow whatever options we leave for them. 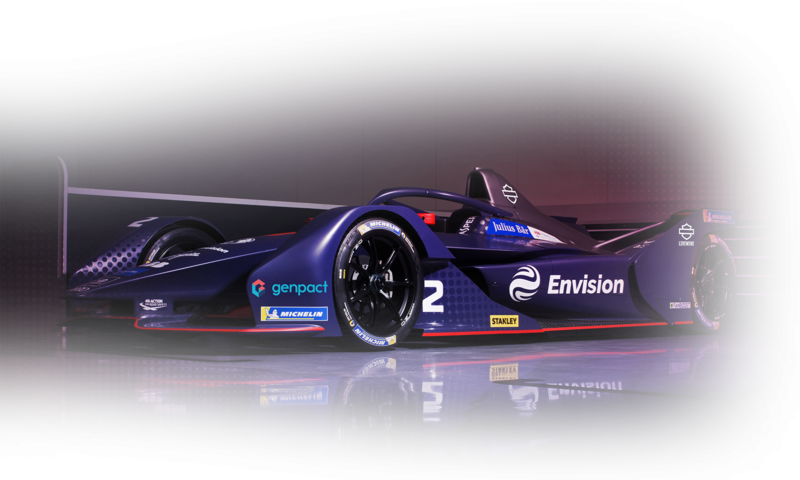 Just as F1 & all professional racing developments have been of huge benefit to personal driving options, so the RACC will offer accelerated progress to dealing effectively with some aspects of climate change - eg no more fossil fuel development! I support the Race Against Climate Change. I believe the present U.S. presidential administration is doing everything to promote business and industry to the detriment of the planet. Someone has to take charge of this race against climate change--and NOW! I support the Race Against Climate Change. We at Project Green Villages Africa Institute, a non profit, rural community development organization, we believe in responsible social investments, in propping up peasants living in rural communities and working in agriculture, to alleviate extreme poverty, in a sustainable way, while conserving and protecting the natural environment. While based in Calgary, Alberta, Canada., we work with women, youth and other members of rural communities, in West Nile sub-region of north western Uganda. Thank you for your initiative, "Race Against Climate Change." Which we fully support and highly appreciate. I support the Race Against Climate Change because I support my daughter's future. I'm Racing to Address Climate Change. I support the Race Against Climate Change. We are all responsible, we all have a roll to play. We need to take responsibility from every single action we do in our daily life to contribute avoiding climate change, we can go for it. I support the Race Against Climate Change and the goals of the Paris Climate Accord. We're all in this together. I support the Race Against Climate Change. Failure is not an option. This not liberal versus conservative. This is science. Fear of a future without fossil fuels is irrational. We could do this in a decade or two and thereby live on a cleaner, healthier planet. Not to mention saving the polar ice caps and not flooding all the major coastal population centers in the world. I fully support the Race Against Climate Change and will actively work to accelerate the initiatives that will help the world achieve the goals of the Paris Climate Accord. I'm happy to work with others to come up with the solutions that care for all creatures as dearly as my own family. I support the Race Against Climate Change. I and my family are committed to making all the changes possible in our lives to reduce our own impacts while at the same time to communicate the urgent need to address this climate emergency to everyone we know. I support the Race Against Climate Change and believe that the momentum is moving in our direction! I want to help give it a big push..
My life project is to improve the well being of society and the planet. My longtime love of open wheel motor racing is an outstanding place to spread the word. I support the race. I am also in favor of using only the energy contained in Sun’s light to power our lives, just as it was up to 150-200 years ago. Let us learn from human history how we survived in the past without fossil and nuclear fuels, and how today, thanks to scientific and technological advancements, we can also live our modern lives using solar energy, securing a future for those to come. I support the Race Against Climate Change. As someone who has spent the better part of 30 years working on these issues, we are sadly running out of time to take the mitigating steps necessary at scale to deal with all that climate change entails. I am glad to help as I am able. I support the Race Against Climate Change. We owe it to the future to do everything we can! I am personally committed to the Race Against Climate Change, developing the worlds cleanest vehicles using advanced electrification technology. I support the Race Against Climate Change,just like how I support the best Virgin Racing Formula E Team. Everyone needs to take a degree of personal responsibility for addressing the challenge. We all need to look at what we as individuals can do, whether it's lifestyle changes, helping to educate and inspire our friends & family, pressuring our elected representatives to accelerate their actions etc etc. Let's do this for our children and our grandchildren. Climate change doesn't just affect humans but all animals and plants. Only we can do something about it and we all must play a part however small like banning plastic straws! I support the Race Against Climate Change, because Climate change is real and human caused! I support the Race Against Climate Change. I say 'no' to dystopia. Let's create a positive future for the planet and everyone and everything in it. I support the Race Against Climate Change. The tech for a cleaner future is here, why not use it?! Thank you to Virgin Racing and Formula E for all of your amazing work to ensure that climate change takes center stage in tech innovation and media... and convening a powerful network of leaders, scientists, energy experts, businesses, government and the general public to accelerate the energy transition. I'm proud to support the Race Against Climate Change with you and Rocky Mountain Institute! Together with electric Fomula Student teams, we promote electric mobility and the need for urgent action. I race against climate change. I support the Race Against Climate Change. My pledge is to promote the use of technologies with low emissions, through the personal use of vehicles with low emissions and spreading the message that encourages more and more people to access these technologies. I'm already racing, i-MiEV electric car and Solar PV on the house. Everyone can do their bit, we can't just leave it to governments. Au Secteur est pour ce mouvement. I support the Race Against Climate Change. I am doing everything I can to alleviate climate change and light pollution. I am living in a generation that has already surrendered to climate change and has already surrendered to the big people with the power. Yeah, maybe being pessimistic about this is realistic but what is the deal about at least trying? The younger generation and the generations to come will suffer heavily from this. Why not pick yourself up and fight for the one world that we have in your own little way? 1 person might not be able to change everything but if a lot of people think like that then all of the sudden it's not just 1 person anymore! Happy to be a small of this and I support the Race Against Climate Change, because we must act now! I support a future where carbon is recycled over and over again reducing our carbon footprint and ensuring breathable air for all. Let’s be carbon smart. 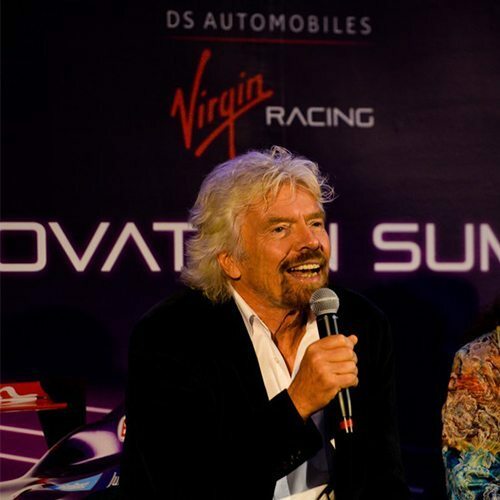 I am proud to be associated with and I couldn’t be prouder to be working with Sir Richard Branson and the Virgin Racing and I whole heartly support the "RACE AGAINST CLIMATE CHANGE." Do - Improve existing energy technologies and embrace new clean energy tech. Do - Utilize resources efficiently, then reuse wisely, and then recycle. Do - Encourage others to do likewise. Do Not - Argue with those unwilling to do the above. We are going to make this world a better place. Those going with us...get on the wagon. Those that are not....get out of the way. We absolutely support the Race Against Climate Change. Together, we can do this. Get on it! I support the Race Against Climate Change. Think what you do today to live longer tomorrow. Kenya might sound like a small country in central Africa, we've just banned use of plastic bags. I want to be part of changing the world.. it's our only home.. I support the Race Against Climate Change. We have only one home in space. DS3GB Owners Club supports the Race Against Climate Change. I agree addressing climate change requires action from ALL OF US. So many things we can do, strive each day and make sure we are continuously doing them at home, our jobs and communities. It spreads out to others from our own actions. Climate change is real and I support the Race Against Climate Change. Let's protect our planet. Let's do it! There is no planet b. Climate Change is the most important issue facing our planet and we all need to support initiatives who’s aims are to tackle the problem head on. We all need to step up and take responsibility for our actions that cause climate change and attempt to slow the rate of climate change to make this earth more livable for future generations. This is the only earth we have. This is what we need to be doing. We need to make massive changes and we need to be doing it now. Am delighted to be adding my name to this list. Apoyar iniciativas para proteger nuestro planeta es mas que nuestra responsabilidad como seres humanos, es reciprocidad. I support the Race Against Climate Change. The awnser is in stopping the production of meat. Climate change is a problem that the world has to address and address quickly. As much as I hate saying this to a large degree it is coming down to business to push ahead with the new technologies that will help in addressing this issue. It is for this reason that I am supporting the efforts of people like Sir Richard Branson as they try to get people to act be it at an international level or down to local governments and communities. My Company ecotekk is as well with its mission to "Reduce energy and environmental costs"
I support the Race Against Climate Change. The world needs to adpat and change and this is a great start on that journey. I am very proud to support this initative. I support the Race Against Climate Change. This is the future. I have been lucky enough to switch from ICE to EV this year and switched my energy supplier to a renewable source company. I support the Race Against Climate Change by making my household run on 100% renewable energy. I'm Supportive of IMPROVING Climate Change. Climate change is real. Do your bit. I pledge against climate change for a better future for new generations and to help protect our planet. Envision Virgin Racing has always considered itself much more than a racing team; we exist to power innovation to positively impact lives. I am signing this pledge, as a representative of Envision Virgin Racing, whilst there is still time to avoid the worst-case scenarios of climate change.